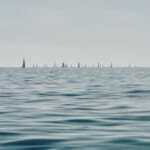 Could The Mercy Be the Best Sailing Film Ever? The answer to this question is: Quite possibly! The first reason is that, according to most sailors, there hasn’t ever really been a very good sailing movie so the bar is low. 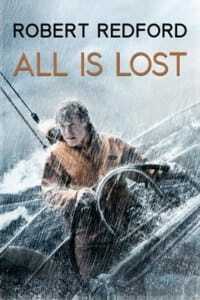 To those that sail and have seen the movie, there’s a lot in that quote, but we’re not here to hammer All is Lost. 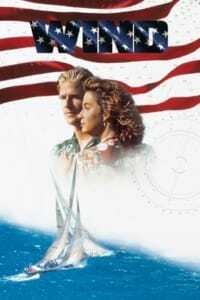 However, it is certainly the most sailing-centric movie ever made so it’s a benchmark of a sort and something that has made sailing movie fans apprehensive. 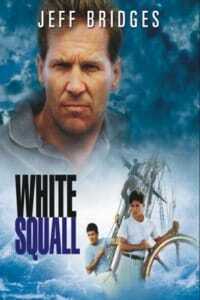 Boxers seem to get great films made about their world, baseball players, football players, even wrestlers, but sailors consistently get the shank – White Squall? Wind? 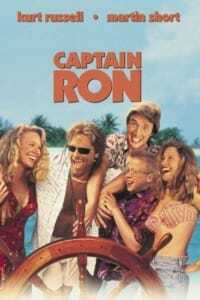 Captain Ron gets a pass but that’s not truly a real sailing movie anyway – it’s super fun but not trying to represent what sailing is. So why could The Mercy be the best? 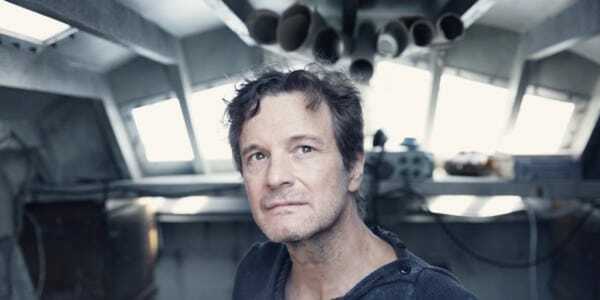 Well, of course we must preface the answer with the fact that we know hardly anything about this film except that it stars Colin Firth (that’s encouraging) and it’s about the 1968 Golden Globe Race where sailing novice Donald Crowhurst lost his mind while attempting to sail around the world alone and unassisted. 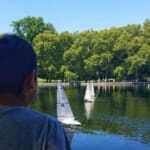 The good news is the story, while deeply routed in sailing, is largely about a man who uses this challenging event in an attempt to solve problems in his own life. It’s likely that much will be told in anticipation of the event, before the sailing. Also, the fact that he was an admitted novice will probably force the tale to unfold from that perspective and perhaps lessen some of the typical burdens ignorance presents. Non-sailing moviemakers attempting to portray a knowledgeable sailor never goes well. Another potential plus is these filmmakers have the benefit of an excellent documentary to reference. 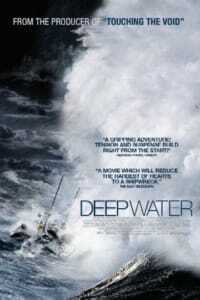 Deep Water is a fantastic film that tells the Crowhurst account as well as any story that’s been told. If they use the doc as their source for technical background and don’t stray, The Mercy shouldn’t slip into the pitfalls that All is Lost did. Lastly, it’s just such a compelling story. It’s about an ordinary family man who is trying to find a way out of a situation and finds himself in over his head. There will be enough sailing in it to make us feel we are watching a “sailing movie” but the very compelling set of circumstances should rule the day. We suspect The Mercy will be as much a sailing movie as Cinderella Man was a boxing movie. And indeed Cinderella Man was a boxing movie. Colin Firth will not let us down! Wind is still the best. So it’s racing so what. 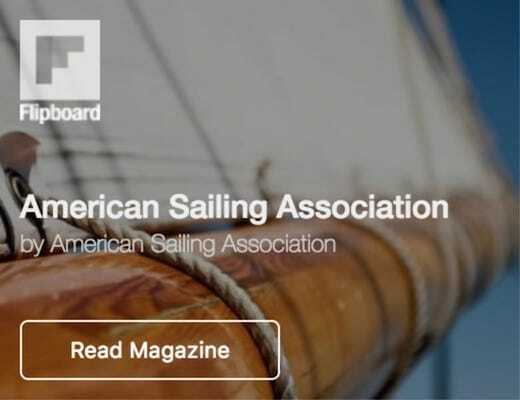 It carrys all the things relevant to sailing and adventure. Nonono….”knife in the water”…and I will have none of this captain Ron nonsense. It could have the greatest director, camera work, cast and writing ever, but calling this a sailing movie is a mockery of what sailing is. I read his story and was thoroughly disgusted. I have no desire to watch a movie about someone who was cheating while others were risking their lives. Make movies about their stories, I’ve read their books and they wrote stories about the rigors, challenges, and rewards of sailing. That is what makes great sailing movies. 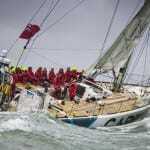 I’ve long been interested in solo ocean crossings and coming back across the Atlantic thought of Crowhurst with sorrow. He wrote “The Mercy ” before his suicide. I wrote “The Glory ” on Christmas Eve at sea. 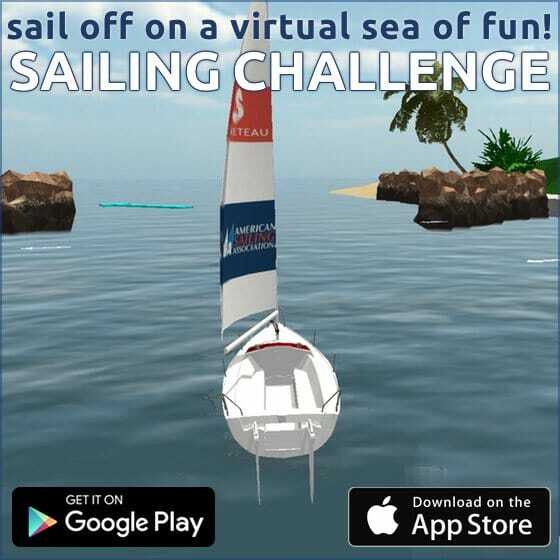 I was sailing for the joy of sailing. Crowhurst was trapped by debt and sailing for all the wrong reasons. I do not judge him. I grieve for him. This is the essence of this story. I think if the director gets it right he will show enough of the others in this race to make the audience see your exact point of view. 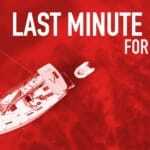 I would list Message in a Bottle or Master and Commander before Captain Ron in a list of sailing movies. They should make a movie about Capt. Fatty. There is a man who has lived! Can anyone tell me where I can find “The Mercy”? I cannot find it anywhere…Joshua Slocum is the best!! I edit a sailing magazine in Australia and I have commissioned a sailing clinical psychologist to analyse the slow descent into hell that Crowhurst suffered, then compare it to the sheer euphoria Moitessier appears to have when sailing. What makes up these two opposites? 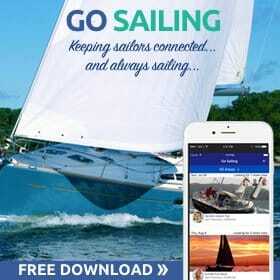 Then he will list things to look out for in yourself or others to keep check on your own mental health while sailing. Looking forward to the movie and this article! How about Drum with Jon Bon Jovi? Certainly ahead of Captain Ron and most others.